At the northernmost tip of the largest estuary in the world, there is a forested peninsula that is shaped like the head of an elk. This strangely diverse land, called Elk Neck, acts not only as a natural sanctuary in a developed area that offers year-round habitat, but it also acts as a major flyway for southern migration. When birds migrate south for the winter, they calculate paths that stay over land for as long as possible. For this reason, many southward-bound species stop on the 11-mile long Elk Neck Peninsula that extends into the Chesapeake Bay. The visitors over the years have deposited seeds from the northern lands in their droppings, giving rise to an abundance of plant diversity. This has helped what was once stripped farmland turn into a vivacious forest. For these reasons and more, the Songs of Adaptation research project chose the NorthBay environmental education facility that is nestled in among over two thousand acres of green space as a longitudinal recording site. The trial recording period at NorthBay from September 19 to October 19, creating 4,336 WAV files, totaling 114GB in size. The audio files are each 5 minutes in length, totaling 21,680 minutes all together. 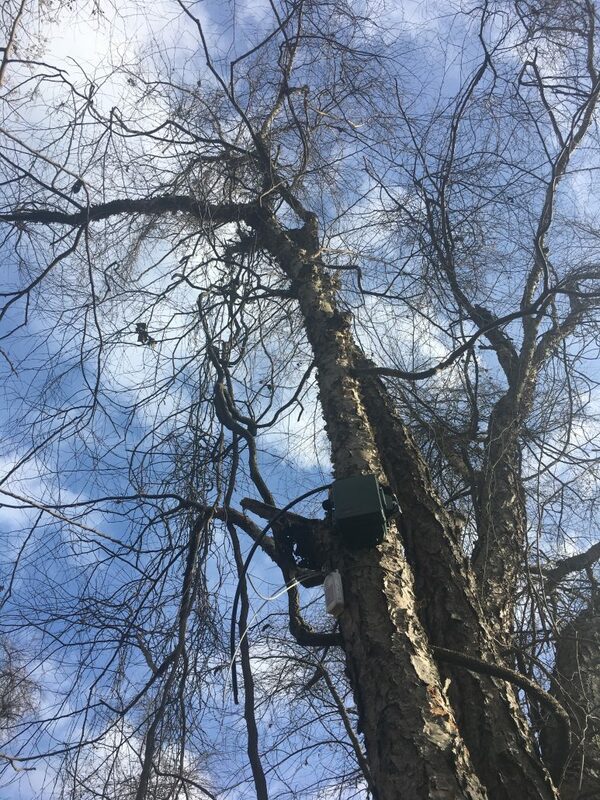 The bioacoustic recording device was set on a program to record around the clock in 5-minute intervals, with 10-minute breaks between recordings. ore than 250,000 distinct vocalizations were captured. These were clustered by automated audio tools and found to be of 73 different varieties. Upon human-truthing of data, there were more than 73 species from which the sounds originated. Clusters can be a group of complex vocalizations or sounds (eg crickets and a bird that trill in the same timing and frequency). So also, one species can make multiple types of vocalizations; therefore, there is not a one-to-one correspondence with species presence and clusters detected by software. The preliminary recording period began on ‎September ‎19, ‎2018, and concluded on ‎October ‎19, ‎2018. While computer clustering provided species and source analysis, it takes human intelligence to note changes of species presence over time. The orchestra clashes on day after day, but the players are a revolving company. When the recordings began, there was a constant orchestra of overlapping species of bugs, fluctuating species of singing based on time of day. As the cold rains of October swept through the deciduous forest, the voices of the bugs tapered off into silence. The voices of birds called out, echoing among the ever more bare trunks of the trees. One by one, the species departed for winter, slipping south into the warmth, hoping that the habitats that sheltered their predecessors would remain intact enough to offer them winter warmth.